Give your eyebrows the edge with Eye Brow Cake. Shape and define to frame your eyes and enhance your expressive side. Match with your natural colour or experiment with different tones for an alternative look. Use dry for soft definition or mixed with water or Sealing Gel for a sharp shape. 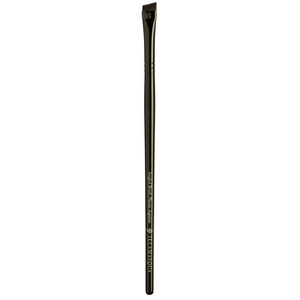 For a soft enhanced effect apply Eye Brow Cake dry using an Eye Brow Brush, applying in light feather-like strokes following the natural brow shape. For a more defined look, mix with water or Sealing Gel an apply with an Eye Brow Brush following the natural brow shape, thickening the brow closer to the nose area, and thinning and extending it on the outer end. Kaolin, Talc, Zinc Stearate, Octyldodecyl Stearoyl Stearate, Parfum (Fragrance) and May Contain: [+/- Titanium Dioxide Ci 77891, Iron Oxides Ci 77491, Ci 77492, Ci 77499, Ultramarines Ci 77007]. Stop use if Irritation Occurs. The intensity is fantastic! I was worried that Peek would be too dark/orange for me, but it's perfect. Looks as natural as it can on me-- I have no eyebrows to begin with as a natural blonde. You can get pencil thin brows even with a brush! I have eye brow cake in shade STARK. I have red/ginger hair and it is color just made for me. It took me several years to find my ultimate shade!!! I got it now. Product itself is high quality. I was afraid that it won't last but I was well surprised that it did last all day. Package is small but it is still full even though I use it every day. 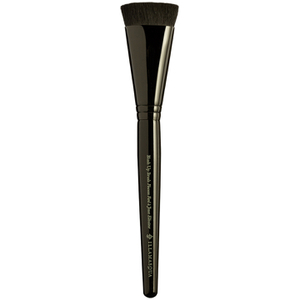 Pigmentation is super and if I wish to have a bit darker color,I just wet the brush and apply product. This way it'll stay even longer and it's darker. I will buy another shade for winter as I use different hair color in the winter time. I have a shade Stark, which goes so well with my red/ginger hair. I was looking for similar shade for several years!! Even though this is a small package, after I applied it several times I realized that this product will stay long time with me. 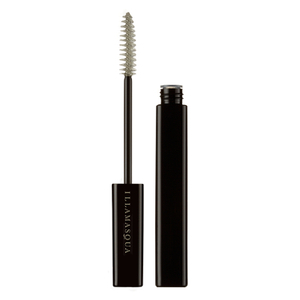 It is really good, stays all day on eyebrows and it's easy to apply. I didn't try it wet yet, only dry and I am happy. The price is worth it, after all. Will buy another shade later. Was not sure about the color, but blends nicely to natural color of brows. Lovely shadow used everyday since. This one's a keeper. good exture! I want to by from you also refiling product. I have been using Gaze for about two years to structure dark brown/black brows, and barely dented the product. Tremendously versatile. It does last longer with a base or if applied wet.